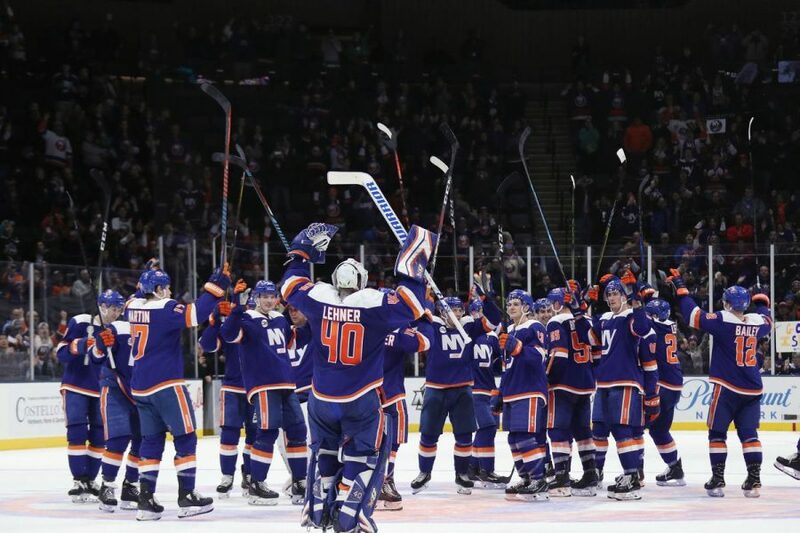 Everyday the New York Islanders are closer to clinching a playoff spot and will be the only local team to make the Stanley Cup Playoffs in 2019. How they will fare though is a different story. After losing John Tavares to the Toronto Maple Leafs in free agency, the Islanders signed Leo Komarov, Matt Martin and Valtteri Filppula. None of these players add up to the offensive contributions Tavares had, but they play well under defensive minded Head Coach Barry Trotz. Since going to a defense-first mindset, the Isles went from the worst goals against in the league last year to the best in the league this year allowing a total of 179. With only a few games to go, they currently hold a 2.36 goals against average and an 80.6 percent penalty kill. The defense has been top-notch, that’s not the issue. The offense has been stagnant for the last month and General Manager Lou Lamoriello chose to not make any moves at the deadline. Their playoff success will determine on a number of factors including who they play, the power play and the goaltending. The Islanders’ opponent and whether or not they have home-ice advantage will be a big deal. With home-ice being at Nassau Coliseum, what many believe to be the true home of the Islanders instead of Barclays Center, a game 7 at home would be much different than if the team had to go on the road. As for who they’re playing, that can still vary. Opponents that are likely are the Pittsburgh Penguins, Washington Capitals or the Carolina Hurricanes. All of those teams have no trouble putting the puck in the back of the net, all ranking in the top half of the league in goals for per game. The Islanders defense will have to be on their best game, and taking few penalties will be key in any of these series. As for the Islanders offense, with how good the defense is this year, a few power play goals will go a long way. The Isles are currently on a horrendous drought on the man advantage. They have just one power play goal since the trade deadline which took place on Feb. 25, and have an overall percentage of 2.7 percent. Calder-trophy winner Mat Barzal has 59 points in 76 games for .77 points per game, a far cry from last year’s 1.03 points per game. That said, Barzal cannot do it all by himself. Underperforming players like Jordan Eberle, Anthony Beauvillier and Nick Leddy hurt the team’s offense this season. In any of those previously mentioned first-round matchups, it will be a quick exit for the Islanders if they can’t match their opponent on the scoreboard. One of the main issues with the power play is that the Isles are so deliberate. They stand around the zone and pass the puck looking for the perfect shot. Putting more pucks on net would benefit the team. Finally, the goaltending and defense which have been excellent for the Islanders this season, might be the only reason they win a series, maybe two. Both Robin Lehner and Thomas Greiss have five shutouts each matching a team record of 10. The duo currently hold the third and fifth spot for individual goals against throughout the league and also the third and sixth spot for individual save percentage. Either one of them can steal a series for the Islanders provided the offense wakes up. Playing against the Penguins, Capitals or Hurricanes won’t be easy in any instance, but the Islanders have the goaltending and defense to pull it off. The concern lies with the offense and special teams, which can also definintely make or break a series. One bright spot for Isles fans is that they’ve played well against the division this year, holding a record of 17-9 entering Tuesday’s game against the Columbus Blue Jackets. The Islanders have a shot of winning a playoff series, maybe even two, but it will require the power play and offense to wake up, and it will call upon the defense to be at its best.